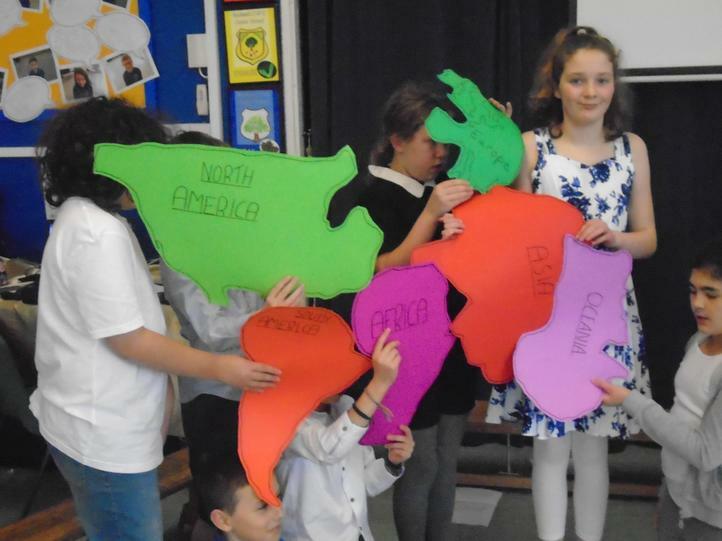 Class Assembly - World Challenge! 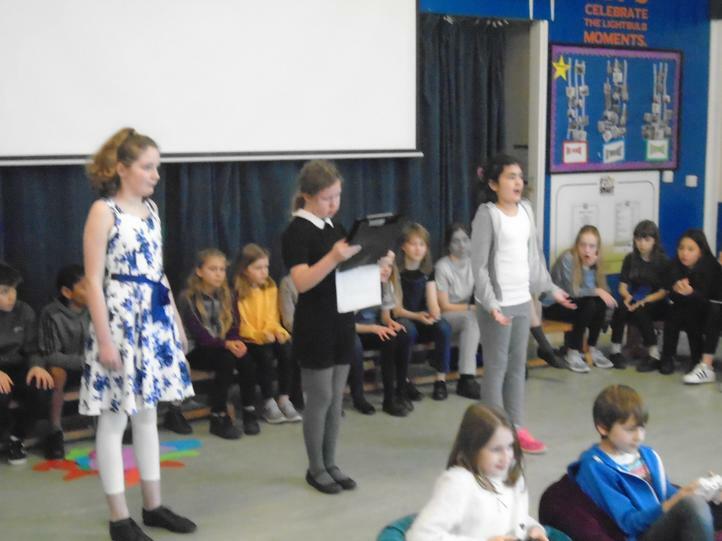 On Thursday 31st January, we performed our class assembly to parents, friends and the school. 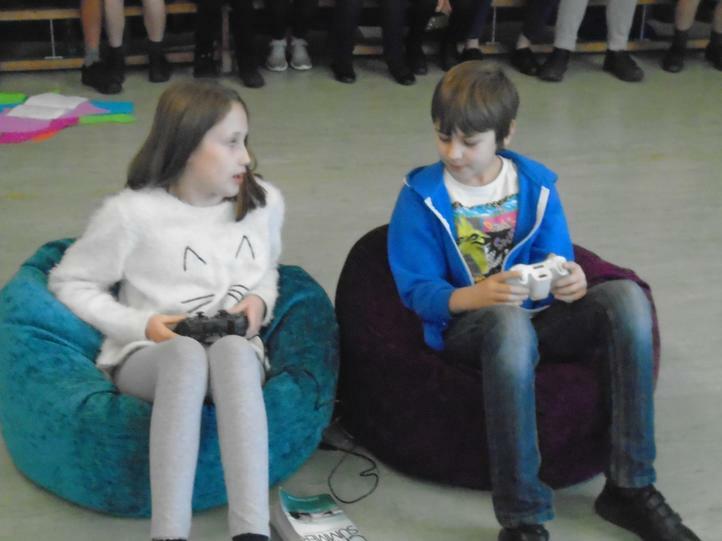 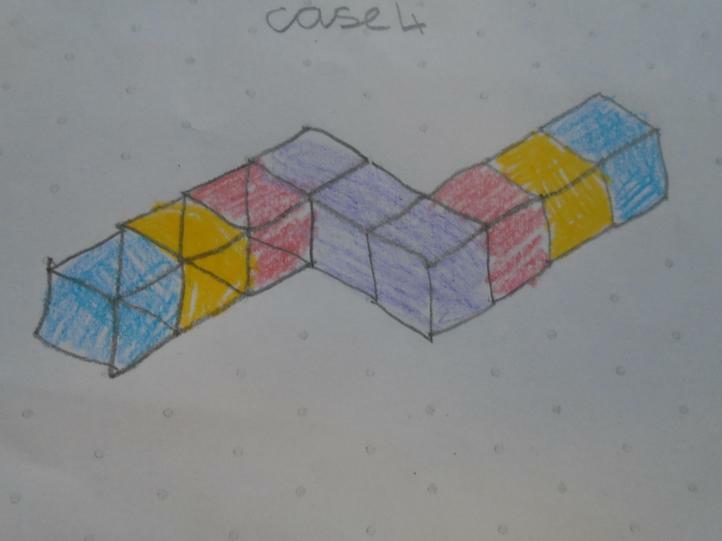 Working from our topic of "Our World", we came up with the idea of a computer game with different challenge levels that players had to work through. 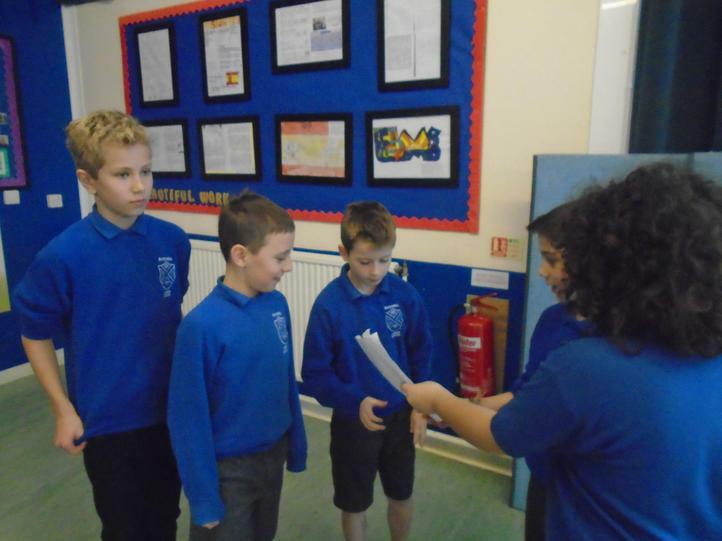 We got into groups to come up with ideas to present information to the school in an interesting way. 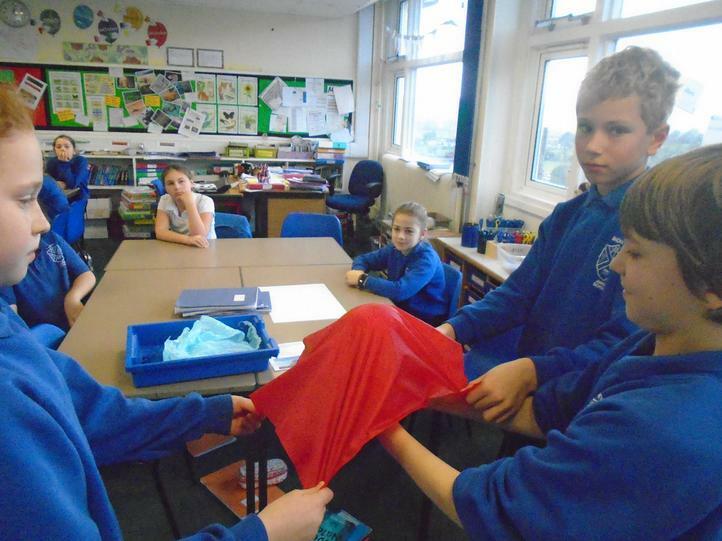 Our levels were Continents, Earth layers, plate tectonics, mountains, earthquakes and tsunami. 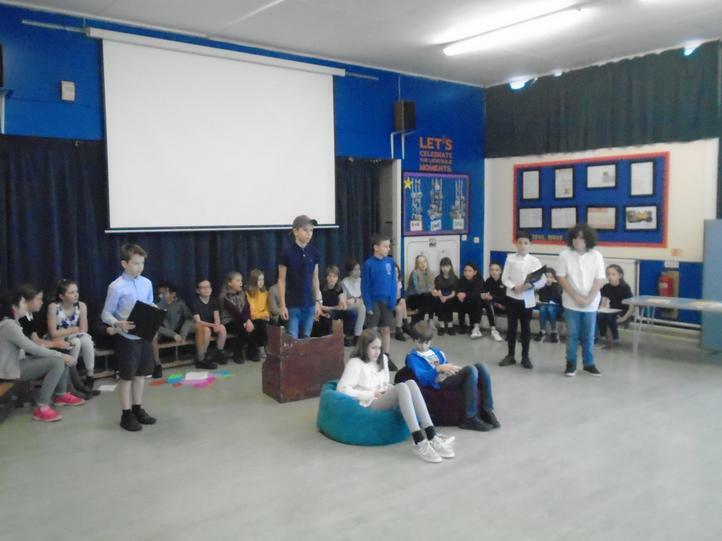 Once we had written our scripts we had to learn our lines and sort out costumes and props. 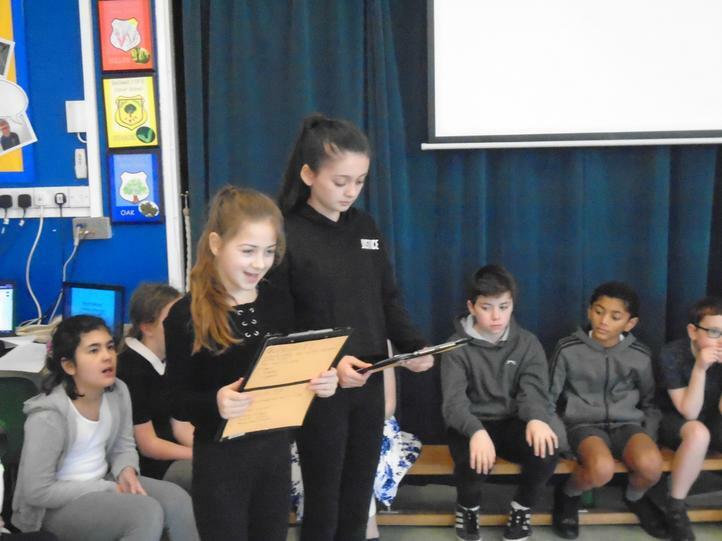 It was hard work and it took us a long time but we got there and performed brilliantly! 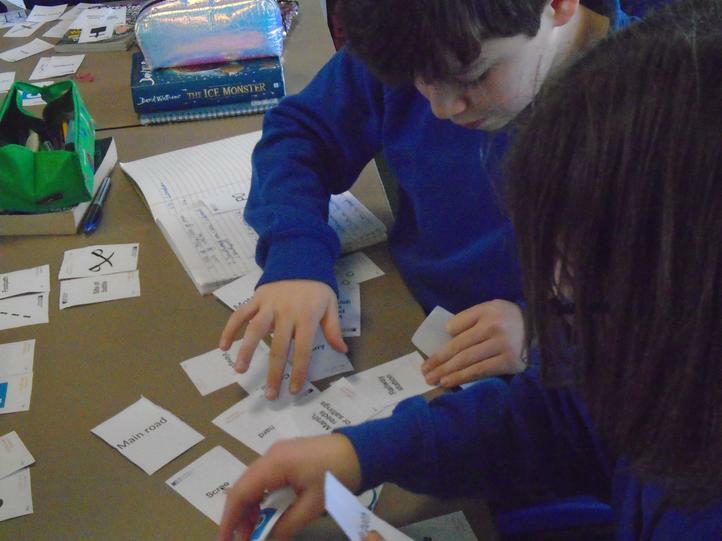 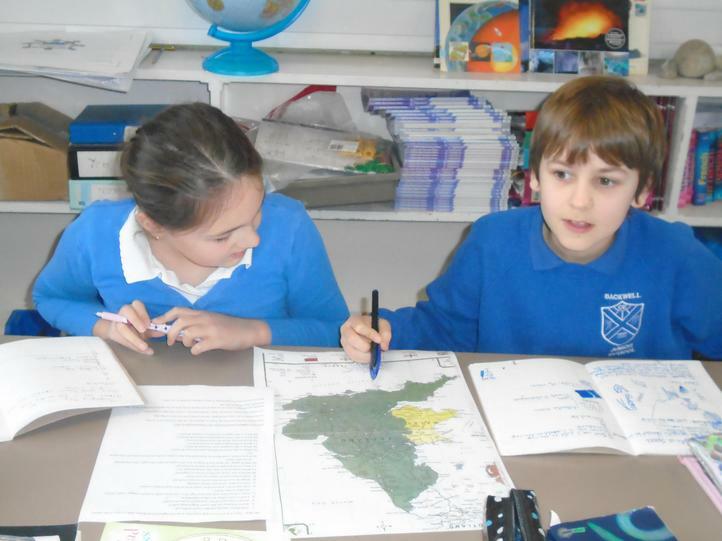 On Tuesday 22nd January we had our Geography Day - brilliantly organised for us by Mrs Adams. 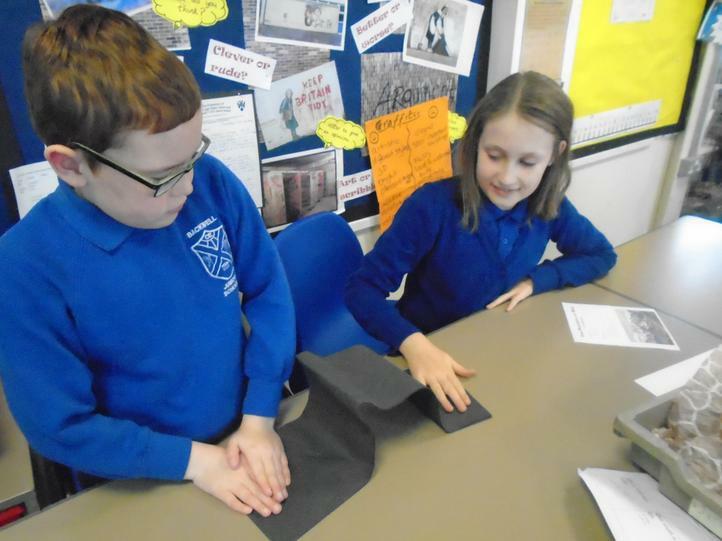 We began the day by learning more for our topic "Our World", we found out how different mountains are formed and did some practical work to demonstrate this. 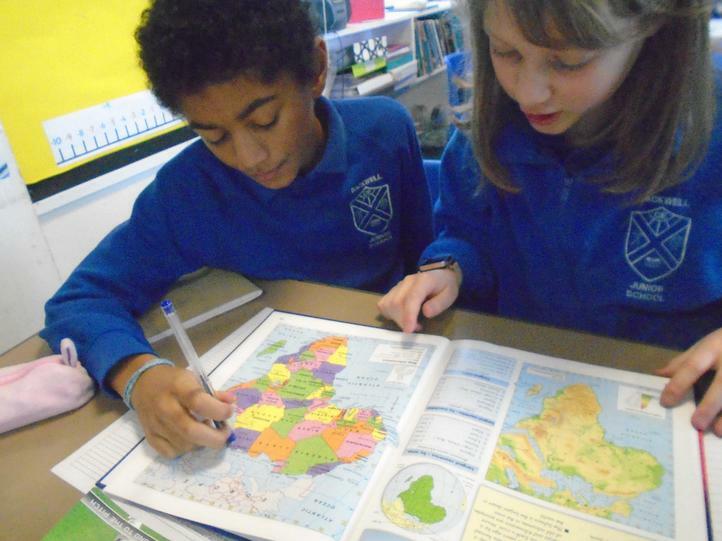 We had a great time doing a mega-Geography quiz involving map reading skills, knowledge of places around the world and using atlases! 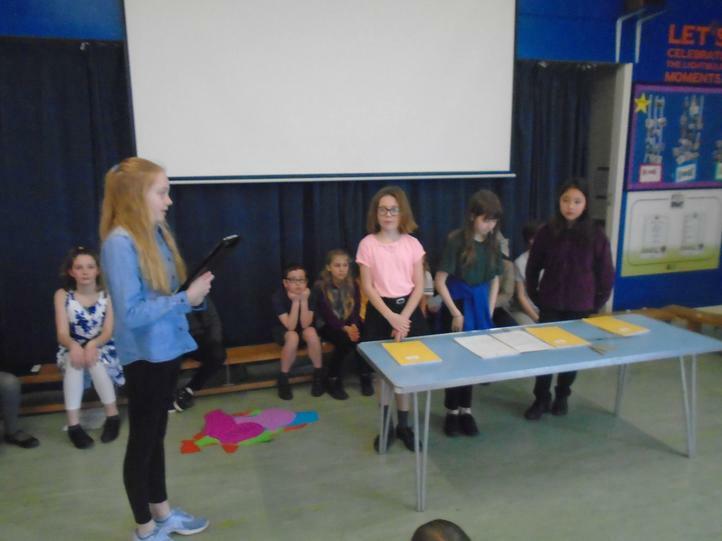 Everyone did well! 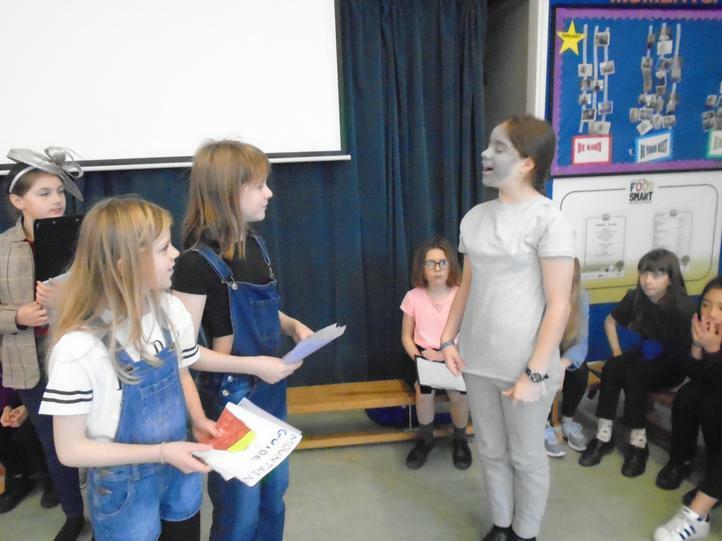 In the afternoon, Mrs Withers came to visit to tell us about her time in Turkey when she taught English to children and adults. 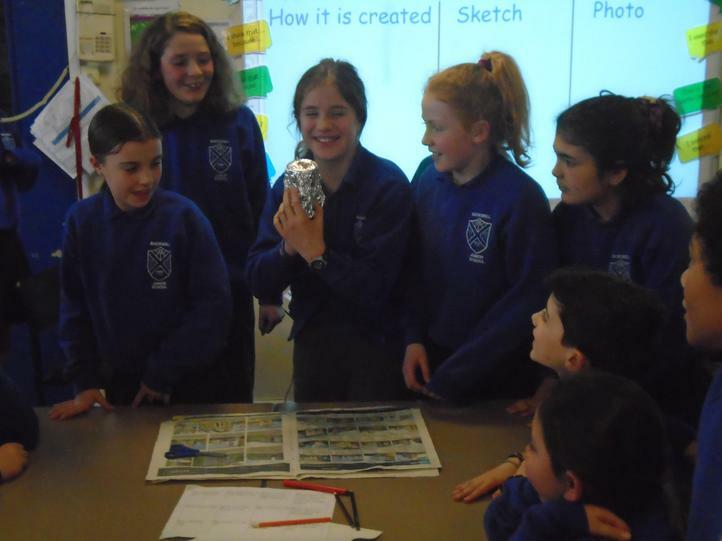 We learnt so much about the country, the places, the people, its history and its food!!! 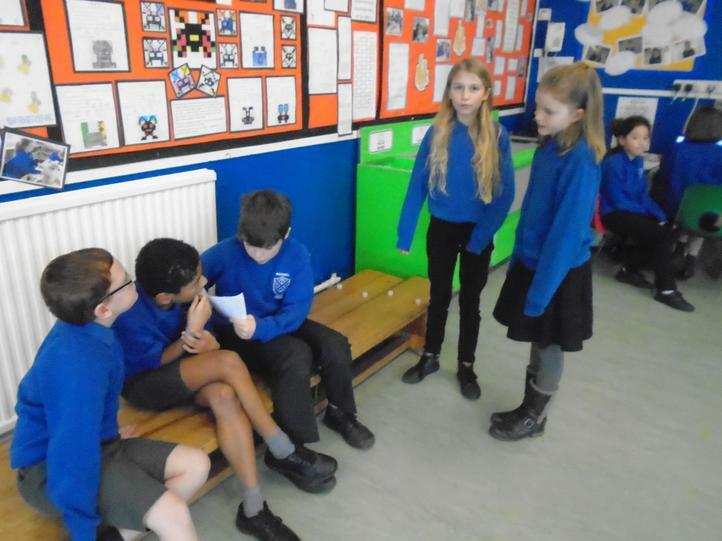 Turkish delight was loved by some but not everyone!!! 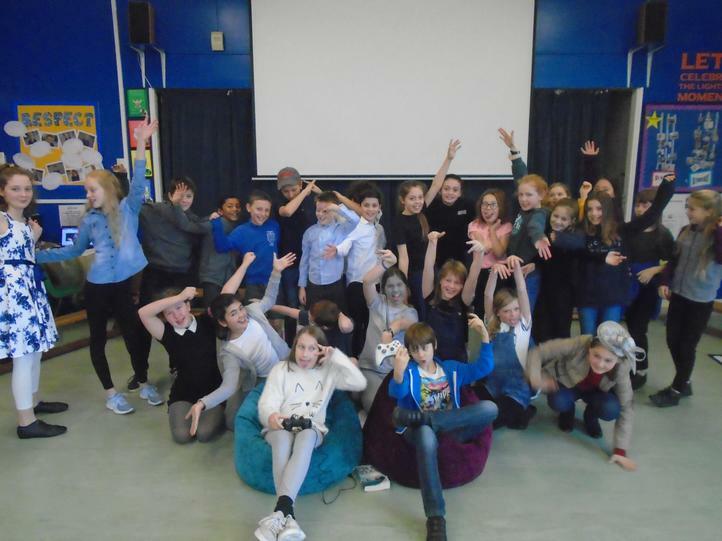 A great day - thank you Mrs Adams and Mrs Withers! 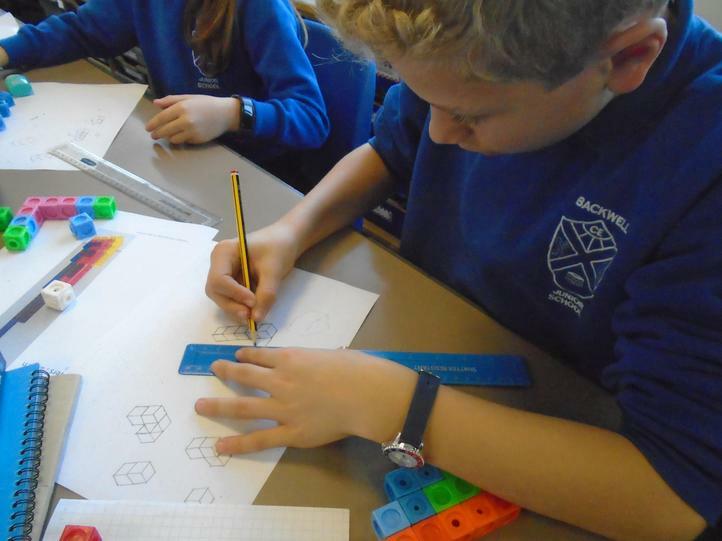 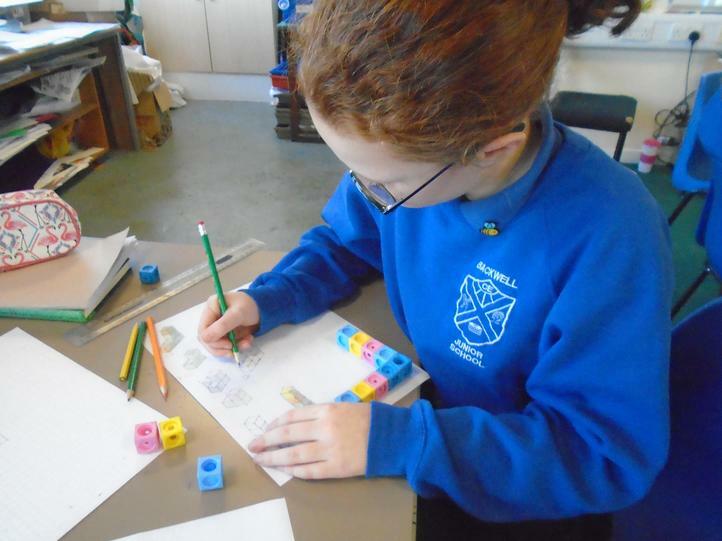 Our first two days back of term 3 were spent doing some amazing inspirational maths. 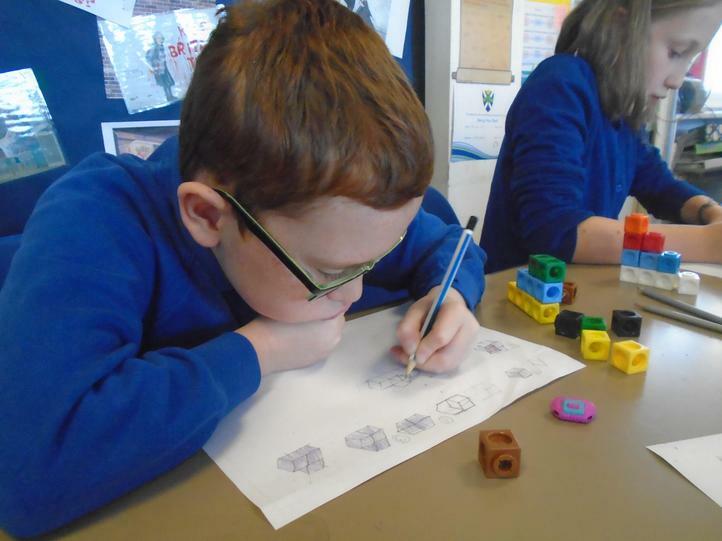 We did a number of different activities from hiding aliens to finding pathways through a maze to learning how to draw 3D shapes using isometric paper! 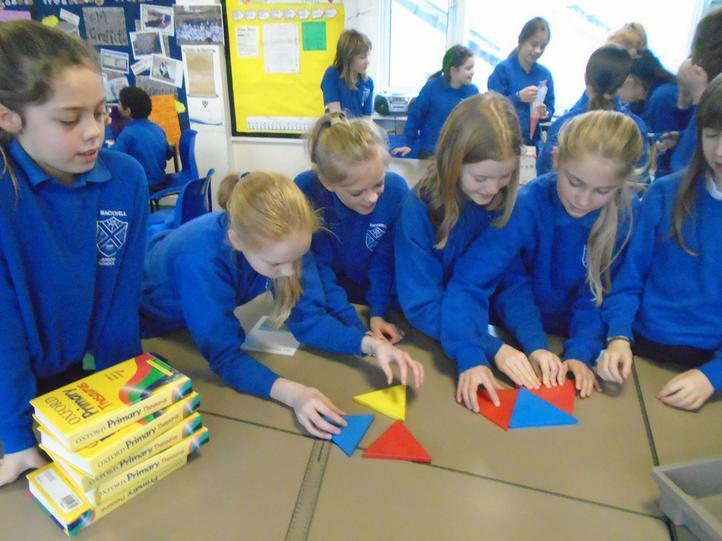 The activities were designed to be fun but to really challenge our thinking and help our brains grow! 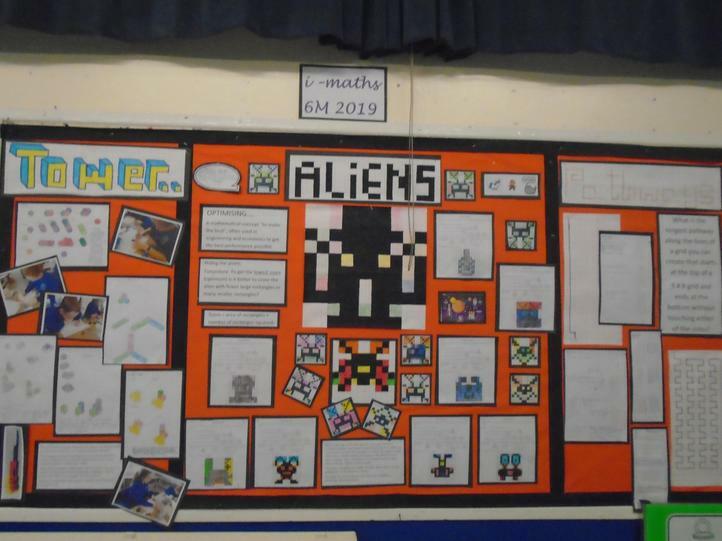 From all our hard work we produced a fantastic hall display!